When will be Billy Goes North next episode air date? Is Billy Goes North renewed or cancelled? Where to countdown Billy Goes North air dates? 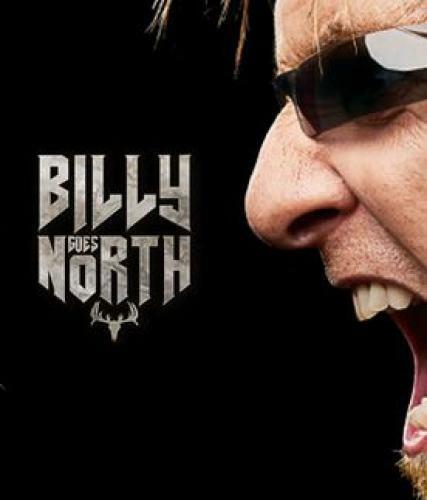 Is Billy Goes North worth watching? After taking on the South's worst critters, North America's favourite exterminator and pest control expert, Billy Bretherton, has left Louisiana behind, taking on a new challenge -- the biggest, baddest pests and wildest animals of the Great White North.Billy's ingenious methods, mixed with his hands-on approach, always get the job done. In each episode of Billy Goes North, Billy partners with a local exterminator, or his dispatcher Bea, to tackle Northern pest problems. Billy travels from cities and suburbs to rural towns, farms and into the wilderness. From wolves preying on livestock and beavers flooding country roads to evicting porcupines from a northern cottage and escaped exotic animals running amok, no job is too difficult for Billy. Along the way, Billy teams up with local exterminators who have earned their stripes handling the North's wildest beasts. Whether the job requires time-proven methods, spanking new technology, or Billy's own home-grown style of animal psychology, he'll never leave his client's pest dilemmas unsolved.Billy Goes North follows Billy in his new northern element. After adding an impressive set of new skills to his pest-fighting arsenal, he is ready to take on whatever the untamed North has to offer, including crazy, out of control critters, and gnarly animals that other exterminators cannot or will not handle alone. Billy comes to the rescue at a farm where a predator is creating a horror show at a chicken coop; he works with partner Terry to solve a beaver problem. Billy and his partner Derick remove a nest of snakes from a houseboat; he responds to a storage facility where some deer-elk hybrids are threatening to injure clients. Billy responds to a construction site where a vicious varmint has the tradespeople running scared; Billy and Bea investigate a haunted house to find the source of strange noises. Billy Goes North next episode air date provides TVMaze for you. EpisoDate.com is your TV show guide to Countdown Billy Goes North Episode Air Dates and to stay in touch with Billy Goes North next episode Air Date and your others favorite TV Shows. Add the shows you like to a "Watchlist" and let the site take it from there.